Tag Archive | "Alex Williams"
Multi currency investing in change creates opportunity if you stick to value as well. 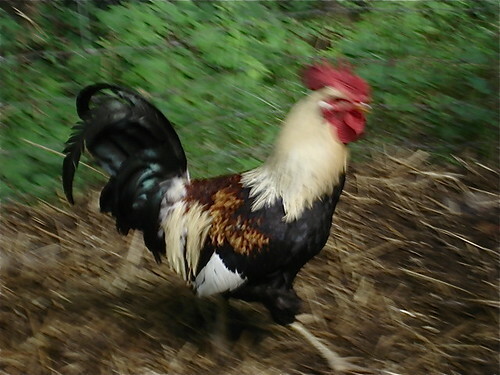 We have a great rooster here at the farm. Beautiful. 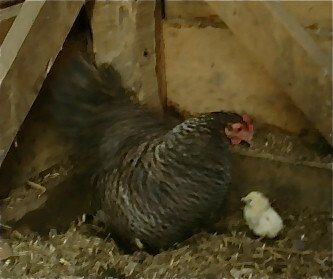 So now we also have some new chicks! Watching them started me thinking about multi currency investing cycles and evolution. If we look, we can see mankind and our multi currency, global economy evolve in ways that make sense. Yet the shift are often hard to see. On a recent trip Merri and I were stuck next to a TV (we do not have this at the farm) and the show was called Mad Men…about ad men in the 50s. The smoking everywhere, three martini lunches, incredible sexual harassment, gender, religious and racial bias. Wow, consider how much we have progressed! Perfection now? No. Better than before…I think so and we are making progress. How can we spot, and position ourselves for change? The economic doldrums of today will create the life styles of tomorrow. High rising costs of energy…food and essentials are creating a more spiritual world. People are learning to look within for their fulfillment rather than relying on the shopping cart of the material market place to bring them joy. They are more likely to spend more time in their church, mosque, synagogue or other place of religious worship than in Wal Mart. They may enjoy more friends, family and their social community. Perhaps spend more time hiking and in nature or contemplating…slowing down to enjoy life more. Think, if nothing, else of the environmental good. How do we prepare our lives, our business, our finances for this new way? During the 40 years I have been investing abroad, I have observed seven golden investing trends. #2: Japan , Germany , Switzerland , England , Australia and Hong Kong . #3: 1980s. The Tigers, Taiwan , Singapore Malaysia and South Korea , & Turkey . #4: Early 1990s. South America (which led me to Ecuador). #5: Late 1990s and 2000s. China , India and Eastern Europe . #6: Invest in Real Estate Throughout. Now an eighth powerful green trend is in force. How do we tap into this new economic wave? Good value investments in water, alternate energy and environmental salvation offer incredible opportunity…if you maintain a good sense of value. Like with all huge shifts, there will be scams and over priced investments. “DESPITE the expense and the occasional back strain, Mary Burnham, a public relations consultant in San Francisco, felt good about the decision she made a few years ago to buy milk — organic, of course — only in heavy, reusable glass bottles. For the sake of the environment, she dutifully lugged them back and forth from the grocery store every week. Cutting out disposable paper cartons, she reasoned, meant saving trees and reducing waste. “Ms. Burnham, 35, recycles religiously, orders weekly from a community-supported farm, buys eco-friendly cleaning products and carries groceries in a canvas bag. But she admits to information overload on the environment — from friends, advice columns, news media, even government-issued reports. Much of the advice is conflicting. Green is good but as mankind learns and evolves, there will be plenty of spin. There will be more than enough turmoil and confusion about what is best and what will succeed. The true guide that can guide you through the noise that is created during new economic waves is value. For example investments in wind power make sense. T. Boone Pickens has just announced that he will make a huge investment in wind power. An NPR article said: “After decades investing in oil, T. Boone Pickens is now pouring billions of dollars into what he calls America’s biggest wind farm. Pickens envisions putting up 2,500 turbines in Texas to generate 4,000 megawatts of energy — enough to power 1.3 million homes. “Pickens says America is living with oil prices of more than $140 per barrel and gasoline topping $4 per gallon because it didn’t plan for its energy future. “The mistake was made because we didn’t have the leadership that stepped up and said, ‘We cannot continue to import foreign oil,'” Pickens tells Steve Inskeep. “Wind currently generates a relatively small percentage of the nation’s power, with most coming from coal, nuclear and natural gas. “Pickens says he would like to use more wind for power generation and shift natural gas for use as a transportation fuel. “He notes that the United States, with just 4 percent of the world’s population, uses 25 percent of the world’s oil supply — most of it imported. “Pickens says he wants the government to extend a production tax credit for wind power for a period long enough to encourage investment in the technology. “The federal government recently issued a report forecasting that 20 percent of U.S. power generation could come from wind energy by the year 2030. Pickens says that’s too long from now — he’ll be 102 years old. Wind investments may be good, but not all wind investments all the time. Yet not all wind investments may be good. Jyske Bank recently placed a sell recommendation on one of the most successful recent shares we have tracked, Vestas, the wind and turbine maker. See why here. Green is good now. Paying too much for an investment, regardless of its color is never good. Even when you ride the wave always keep your eye on value. Until next message may all you values always be good. Join us, stay at our farm and learn about intuitive investing for Susan Rotman’s business intuition course. Or join me with Jyske Global Asset Management to learn more about value investing.